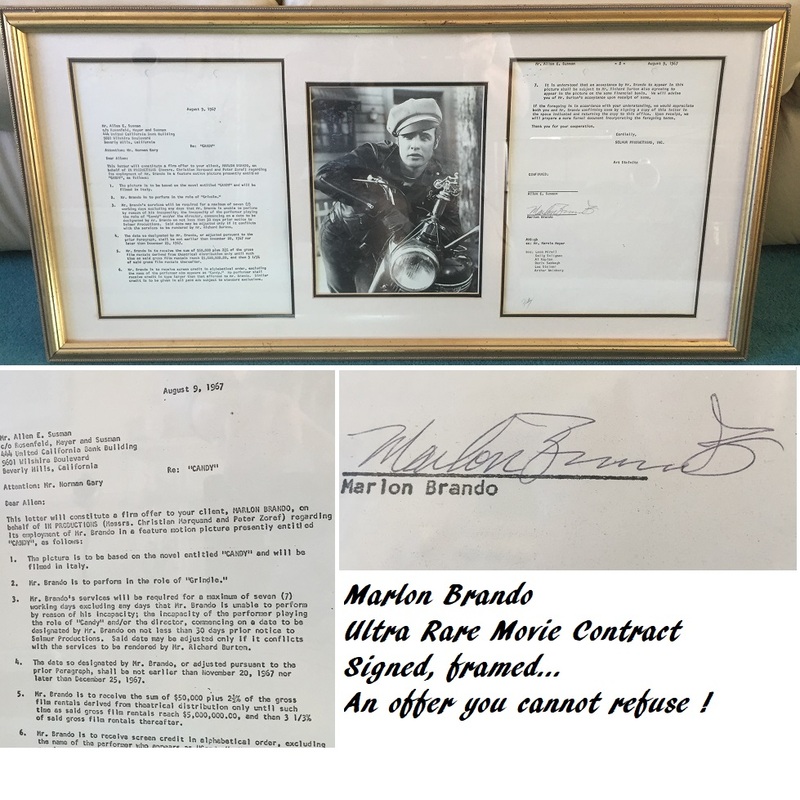 Signed with a wonderful full signature "Marlon Brando". but signed contracts are virtually impossible to find ! Beautifully framed in classic gold, and professionally matted, to protect the contract pages and autographs. The Contract is dated August 9th 1967, and is for Brando's movie role as "Grindle", in the movie "Candy". 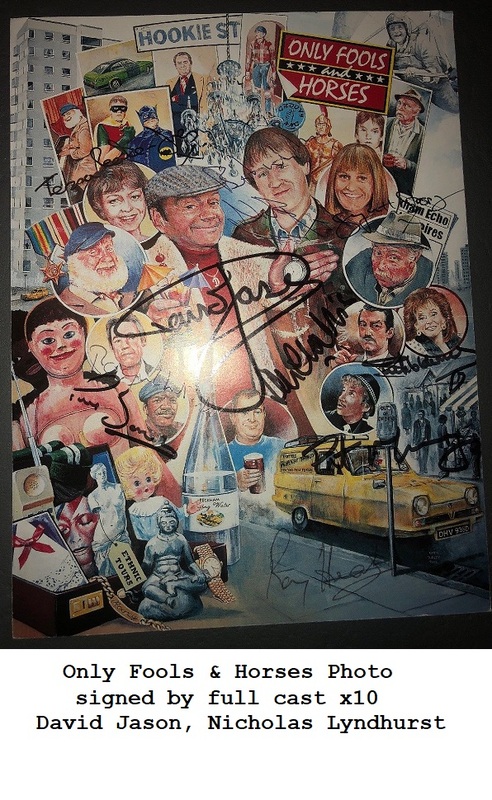 An awesome piece of movie memorabilia. Five years later, Marlon Brando won Oscar for Best Actor, for his legendary role in "The Godfather" (1972). Also comes with Charles Phillips Auctions COA on rear.